Lt. Col Donald Wayne Wickler, USAF (Ret), 96, Rapid City, died January 31, 2019, at Westhills Village. He was born October 1, 1922, in rural Jackson County, Minnesota to Etta (Doyscher) and Emil Wickler. He attended schools in Jackson and graduated from Lakefield High School in 1940. Prior to WWII, he graduated from the Minneapolis College of Commerce with an accounting certificate and in November 1942, he enlisted in the Army Air Force Aviation Cadet Program. He graduated and was commissioned a second lieutenant at the AAF navigation school at Hondo, TX in February 1944. Upon completion of bombardier training at Roswell AAF, NM, and combat crew training in B-2’s at Columbia AAF, SC, he departed for Miami Port of Embarkation for duty in the China-Burma-India theatre of operations. He completed 50 medium altitude bombing missions into Japanese occupied China and Burma. At the end of hostilities in Europe he served with the army of occupation in Paris and with a Martin B-26 squadron in Munich, Germany. 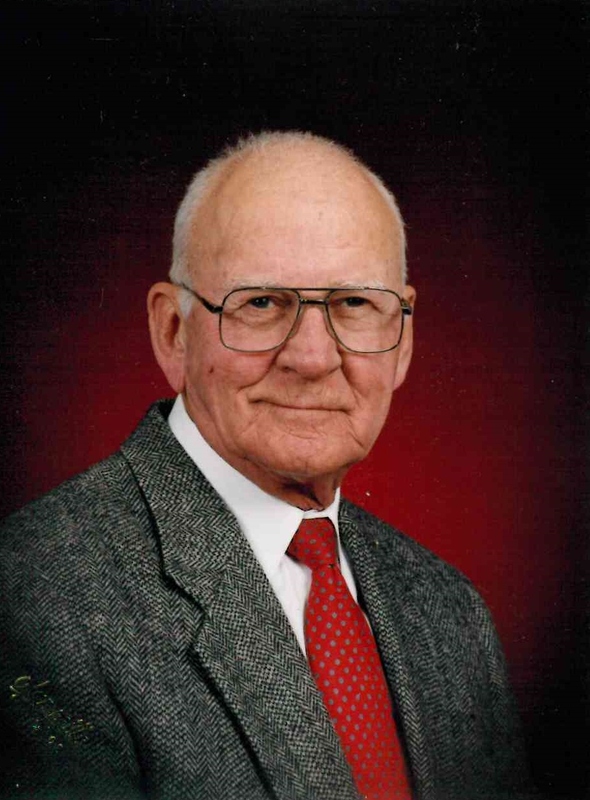 Upon release from active duty in June 1946, he attended South Dakota State College in Brookings where he met and married Margie Miller in 1948. He received a Bachelor of Science Degree in March 1950. He was attending the University of Colorado graduate school in Boulder when recalled to active duty for the Korean Police Action. He flew 55 combat sorties into North Korea from Pusan Air Base. Upon his return to the US in July 1952, he elected to remain in the service and his subsequent assignments included Military Air Transport navigation in C-54’s and C-97’s to Alaska and the Aleutians and to the Pacific Islands including Japan. In 1955 he joined the AFROTC staff on the North Dakota University campus, Grand Forks, for a three year tour of duty. From 1959 until the summer of 1961 he trained in nuclear weapons and the B-52 bombing-navigation systems at Mather AFB, CA, and was then assigned to the 5th Bomb Wing at Travis AFB, CA. His duties for the next five years included right seat navigator, left seat radar, domestic target study officer and Chief of Bomb-Nav. Following 20 years of air crew duty, he served 10 years as a staff officer on the SAC airborne command post and as chief of the Alaskan Military Command Center at Elmendorf AFB, Anchorage, AK. He retired at Ellsworth AFB, Rapid City, SD on October 1, 1975. Decorations earned while in the Army Air Force and the US Air Force included The Air Force Commendation Medal, The Distinguished Service Medal, The Air Medal with clusters and The Distinguished Flying Cross. Following retirement, he graduated from Western Dakota Vo-Tech and as an avocation and dabbled in carpentry while working part time as a Black Hills tour driver and guide for Gray Line of Rapid City. His other interests included motorcycling, downhill skiing and playing trumpet in the Milo Winter New Horizons Band. Don is survived by his two sons, Daniel, Mesa, AZ, and Tim, Rapid City; his grandchildren Josh Wickler, Denver; Eric Wickler, San Bernardino, CA; and Kaitlyn Wickler, Claremont, CA. He is preceded in death by his parents, his sister, his son, Steve Wickler, DVM, age 55, who died of a brain tumor at Mt Baldy, CA in May 2007. The family suggests memorials to your favorite charity or gifts can be made to the Steven J. Wickler endowed scholarship fund at Cal Poly Pomona. Checks should be made payable to the Cal Poly Pomona Foundation, PO Box 3121, Pomona, CA 91769.